A MUSICAL TRIBUTE TO DR RAG HOLMES. 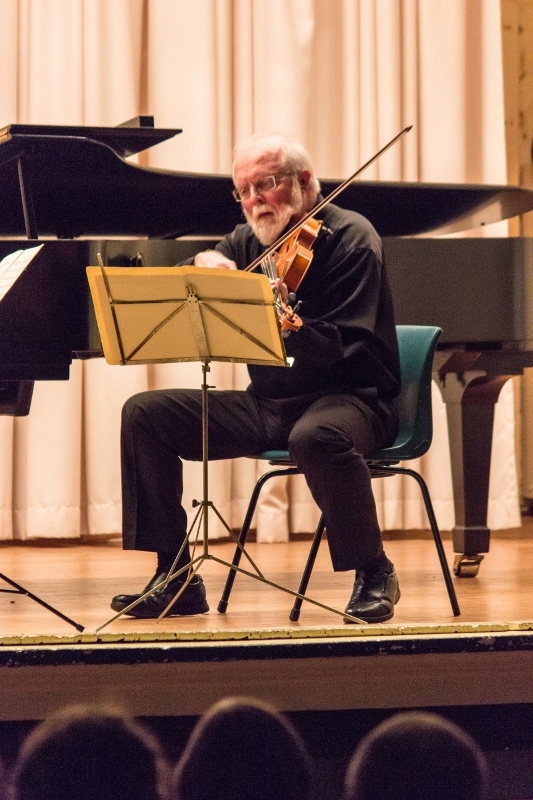 The renowned Lanyon Trio gave the fourth concert in the Yass Music Club’s 2015 Subscription Series in the Memorial Hall on Saturday, 22nd August dedicated as a Tribute to the late Dr RAG Holmes for his long time service and inspiration to the Club since its establishment in 1953. 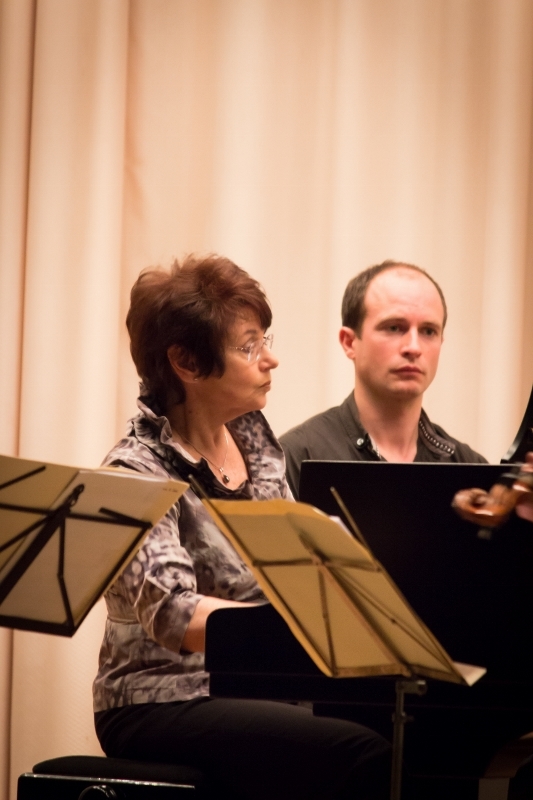 Dr RAG Holmes was deservedly honoured on this occasion with the attendance of a number of members of the Holmes family and also from a rapt audience showing much appreciation of this program of chamber music, which RAG had loved so much. The program began with a very early Trio by Beethoven (Opus 1 No 3) originally written to include a clarinet but re-arranged by the Lanyons to have the violin, in the hands of Andrew Lorenz, playing that part and Wendy Lorenz playing wonderful piano on our Steinway and with Robert Harris bowing his viola superbly to complete the set with charming hints of Beethoven’s antecedents in moments that were almost Mozartian. including “La Dolce Vita” and “The Godfather“. A witty suggestion came from Robert to the effect that he might be seen as an older version of Marlon Brando and that Andrew might present as an Al Pacino figure but the music itself was there to dispel any such mafiosi connections and we were treated to the vivid excitement of Rota’s very creative prowess in this very different Trio. Again the violin played the part of the clarinet from Rota’s original scoring and again it was a very apt variation on the original intention of the composer and it worked very successfully for the audience, as well. The program continued after interval with a late Trio in Bb (Opus 274) by Carl Reinecke, whose life spanned from the mid-Nineteenth Century to the early 20th. There was some discussion here of Reinecke’s nationality, born a Dane but, in effect, ultimately a German. 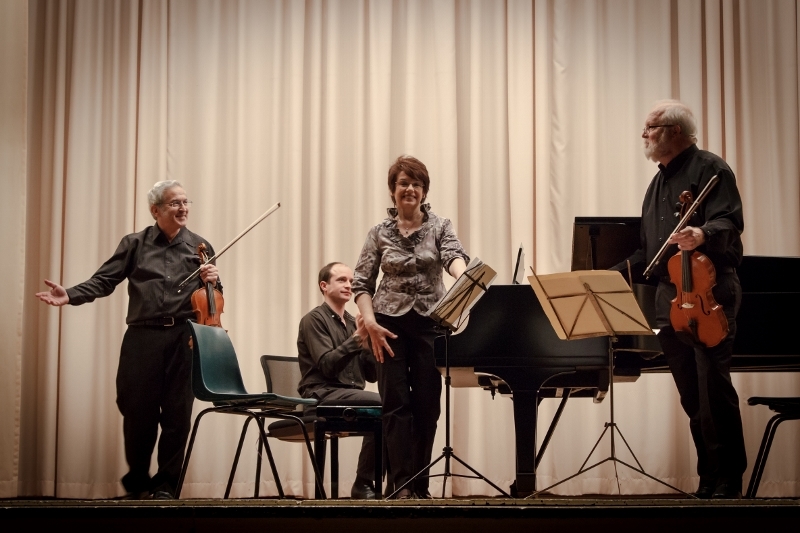 This discussion was a continuing delightful aspect of The Lanyon Trio’s musical presentation in that each of Robert, Wendy and Andrew introduced and explained the pieces, giving the audience interesting details and backgrounds on each of them. In this Trio there had again been some transposition of the original score to suit their group and the effect was again engrossing with the audience very much able to enjoy its subtleties. 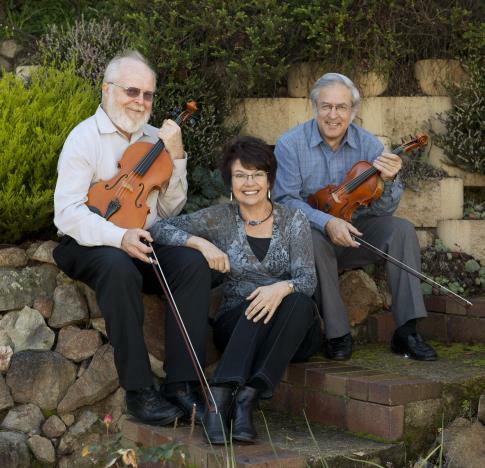 At the conclusion of the program, The Lanyon Trio received very enthusiastic applause from a very appreciative audience and as an encore played a charming March by Fritz Kreisler to round off the evening. A delightful supper was served by the Berinba P&C and we were also very pleased for the first time to have the services of Yazzbar for the occasion and this will, we hope, be a continuing feature of our concerts. Again, the Music Club very much appreciated the attendance of members of the Holmes family in this Tribute to Dr RAG Holmes on 22nd August which, coincidentally, was his actual birthdate. 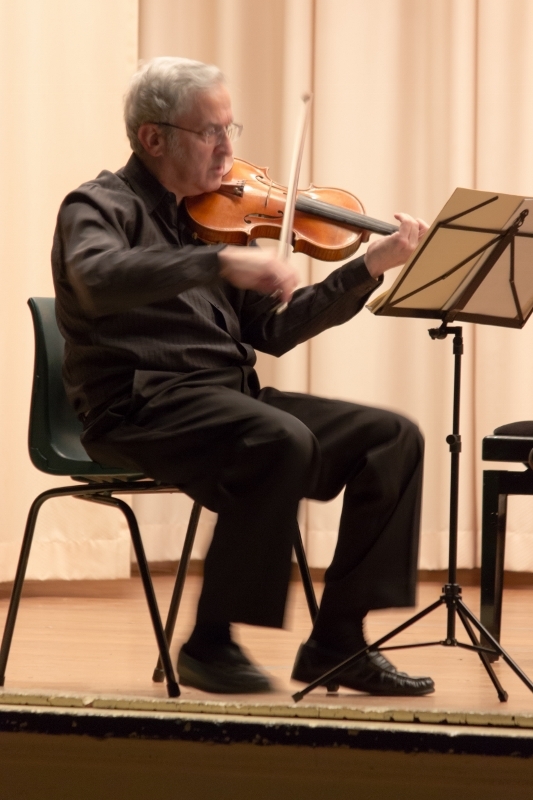 Our next concert is on Saturday, 17th October where the featured artists will be the fabulous Joe Chindamo on piano in duo with the ravishing Zoe Black on her violin and it will be an event not to be missed and will be a fitting conclusion to our extremely successful Subscription Season for 2015. The Yass Music Club Scholars will also be giving a special concert at St Clements Church on Sunday, 25th October and we are very proud of the abilities of these wonderful young people, whose musical prowess will be on show.